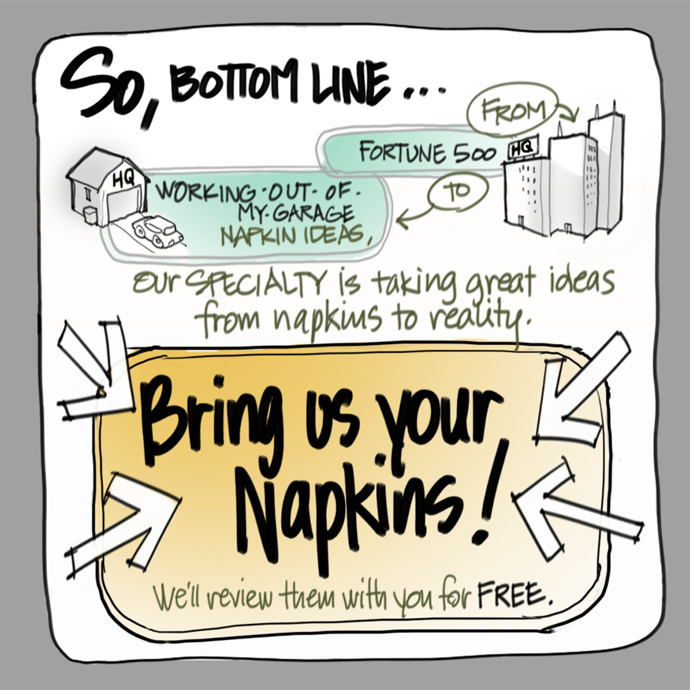 Our SPECIALTY is taking great ideas from napkins to reality. We Create Custom Electronic and Software Solutions for our Clients. By joining the ranks of 5 Million other IoT devices globally, we know that our progressive approach to the development process provides the crucial advantage to Maximize your Idea’s Potential. We offer Physical Product Development, Full-Stack Software Development and Connect devices to the Cloud every day. 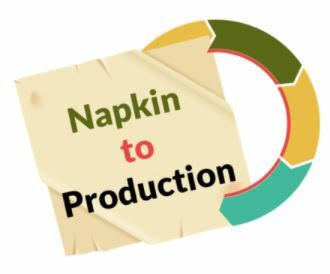 Some of these devices, of course, start as napkins, other existing products benefit from HI’s involvement through the addition of Smart Connectivity and Sensors, and all reap rewards from our Design for Manufacturing mindset. Have you received our Napkin brochure? We think it's the bee's knees. Many design houses will tout their ability to serve up turn-key products on a silver platter with deep technical expertise. But when, as is the natural tendency, design resources rush headstrong into a project, they run the risk of losing sight of the big picture… which often results in budgets / timelines being missed and ultimately the end customer not being delivered an optimal solution. 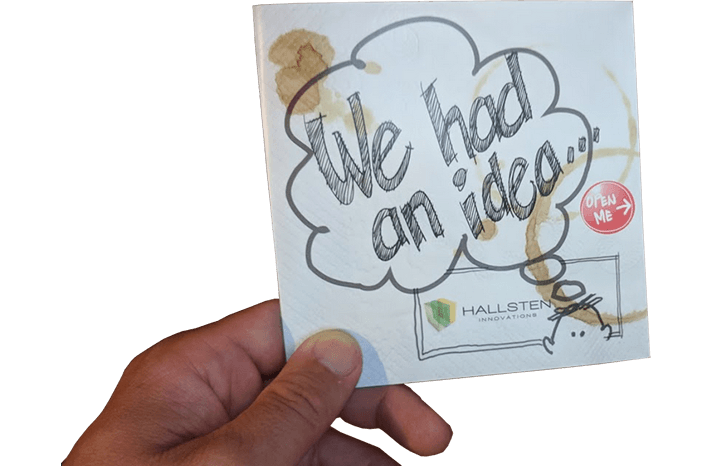 What separates us at Hallsten Innovations (HI) from others is HOW we go about product development. We have a prescribed process methodology. The HI iterative development process first goal is to place a working prototype into the hands of you and your customers as early and as fast as possible. The best feedback is from the target customers who will ultimately pay for your product once commercialized and outlines continuous improvement paths towards an optimized solution. So, What's with HI's "It's How We Do It" Formula? We have specific meaning and organization behind all the elements of our “It’s How We Do It” development process formula. I – Innovation – Creative skill born out of continuous education, curiosity, varied hands-on experiences, invention, and well-placed application making the world better one step at a time. P – Our Process – Continuous user feedback through our iterative design methodology – curated by project management driven by predetermined and accountable milestones. + Innovation and Process are fused together – the value of Innovation is only realized with Process, and the pathways of Process are worthless without innovative inputs! HI loves working through the balancing act of those two incredibly important interdependent aspects. 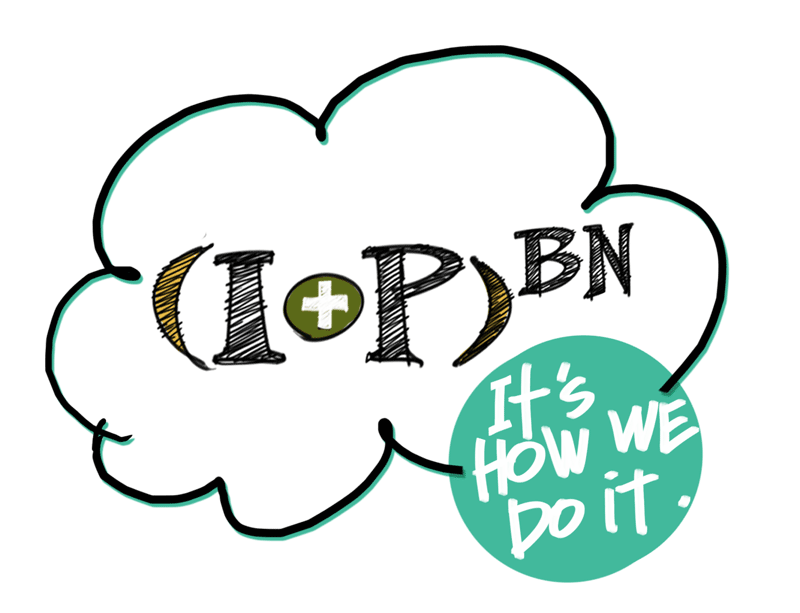 BN – Business Needs – Our approach is client-centric – your needs drive everything we do. The Voice of your Customer, your development budget, your market timing needs… all play into design constraints, must have features, and in the end, exceptional products that excite customers.